Back in October 2015 I was researching random music topics somewhere at the bottom of a YouTube rabbit hole where I found the inspiration for this album. Herbie Hancock. Herbie gave a beautiful speech and the topic was on Buddhism and Creativity (as it related to his experience in life and music). Watching his speech stirred something up inside of me and I’m not afraid to admit it made me rather emotional. After I finished the video I was so inspired by… Improvisation. Mind you improvisation has always inspired me and fueled my career thus far but his view on improv really reminded me of what it truly is. Pure and unedited you. As a musician we all struggle with self improvement. This self improvement can help us (for obvious reasons) but it can also hurt and damage us if we let it. If we’re constantly improving we are never truly appreciating ourselves in the present moment. The present moment is all we have so if we can’t appreciate ourselves now what makes us think we’ll appreciate ourselves later after the next 100 hours of practicing. So I took the pressure off myself and I decided to just PLAY. That’s what I did. For over seven minutes that’s all I did. I simply played anything that came to mind. Any melody I was hearing and you notice that on other songs as well. The same ideas keep surfacing in different ways throughout the record. For Herbie is the manifestation of all the things I am as a musician. It doesn’t stop with Herbie. Obviously there are so many people I have to thank for this album but it was that speech that tipped the scales and started this project. When I started, I only made this piece to share with some friends mainly to get their opinion and I did get some great ones. Someone recommended adding bells or different instruments to accent various ideas that were being played. Someone else recommended taking ideas out of this piece and making those ideas into their own separate songs. Although these are great ideas I decided to go with my own idea. Follow the inspiration. I was inspired to create pure improvised pieces. I could edit and change them but I have fallen in love with them. I have decided that this is the style of art I would like to create. I love it and I can hear the beauty and pain in each one of these pieces and I will never edit these final copies. They are what they are and I would never change anything about them because, they are me. Not the current me but the me I was through the winter of 2015/2016. I don’t know about you but that was an amazing year and I will always cherish this material that came out of that season. I’m putting the material I recorded over Winter 2015/2016 out for everyone to listen. This music is all completely improvised. The first tune I’m releasing today was the only tune that I started recording with a tentative form. All the others I recorded on this album are completely improvised. Which literally means I started with barely an idea and then went wherever the song led using only my ears. I like to tie all of my influences and passions together. Italian culture has influenced many aspects of my life and having these ideas written down in Italian made more sense than English. Not a word is spoken on the album anyway so why would I need it to be in my native tongue. I’ve been working for quite some time to find the funds for a trip to Italy. So it is my hope that this material will help me to do that in some form or another. I’m going to release the album in pieces digitally and then together in digital and physical forms. I will admit this album is just for me. These are tunes that I love and actually listen to on a regular basis. So I have no idea if anyone will listen to these songs but at the same time I don’t mind either way. I would just love to see my first album framed and hanging on a wall. I really need to get started and this is how I’ve decided to do that. Scuro is the first song on my album “Chiaro E Scuro” which is Italian for Light and Dark. Inspired by Chiaroscuro a form of art that plays with the visual contrast between light and dark. My intention for this album was to improvise a set of themes that played with light and dark contrasts as well but on a sonic level. Scuro (translation: dark) is the first theme of the album that represents the darker side of the album. It’s not a frightening tune at all just a bit darker than other tunes. Thanks to everyone that either took the time to read this post or actually listened to the tune itself. I will be releasing much more materials over the summer so please check back soon. If you have any questions, let me know by commenting on this post. I have a few words for everyone that might be interested in my album or what is happening in my life and to top it all off I want to speak about this day in general as April 30 is International Jazz Day! It’s nice that these two topics are so close to each other. April of this year marks one of my favorite milestones. It has officially been 1 year since I became a full time musician. Around this time last year I quit the day job to start a career that has so far made me immensely happy and thankful for each day. 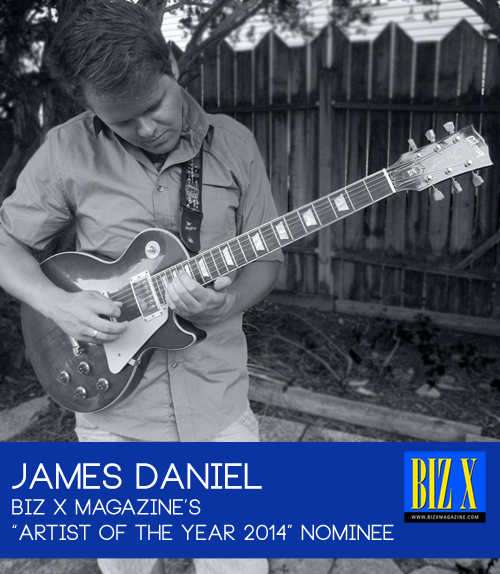 I am extremely lucky that I have had the opportunity to work at Rebel Cowboy Music. Without the assistance of everyone at the store I don’t think I would have taken the big leap I did to begin my dream of doing music full time. Over the past year my manager Lu Ann (without whom being a full time musician would not be possible) and I have chased down multiple avenues of the music business just to stay afloat. That being said, things have been rather hectic at times and the album work has been on a back burner, however, it is on a steady simmer. I do have some solid music already recorded but it is still going to take some time for me to shape it into something I can be proud of. Last thing I want to talk about today is Jazz Day. 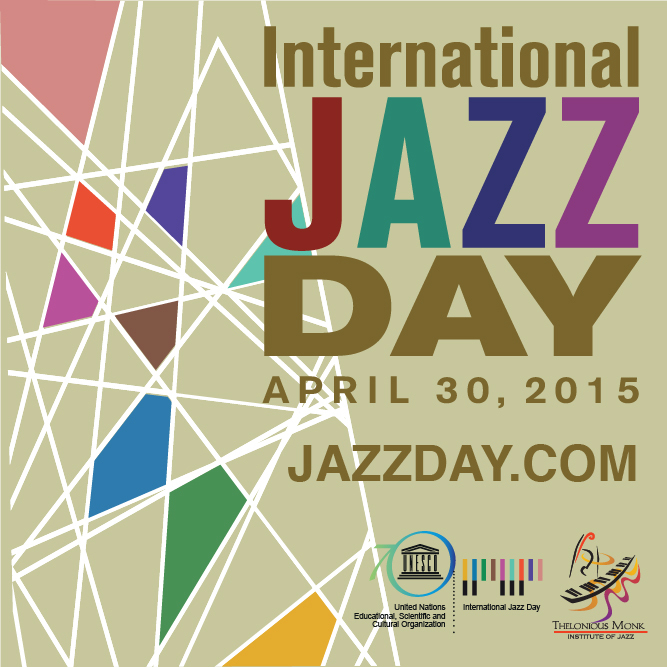 As mentioned earlier, today is a day dedicated to celebrating Jazz music and culture. There are some great events happening all around the world and even a live concert streams on JazzDay.com all day. I will be celebrating Jazz Day by listening/playing/recording and hopefully later, if I can talk them into it, I’ll get my students playing some jazz standards. Jazz has been there for me for many years. Many times when I’ve needed it for many different mental/emotional and spiritual reasons it has been there. It’s hard to describe exactly what it means to me but music being music even, if it’s not jazz, I’m sure in some way you can understand the thoughts and feelings I am trying to convey. Jazz is often compared to life and this is mainly because jazz is so hard to define and there is much debate but for the most part people can agree on a few fundamental things. Jazz is about coming together with a group of people with similar interests to create something bigger than one individual. To do that you will have to take risks by trying new things. You will have to trust that the people around you will support you when you need it and you will have to be there for them as well. At the end of the day, it doesn’t matter if you are not completely satisfied with the final product. 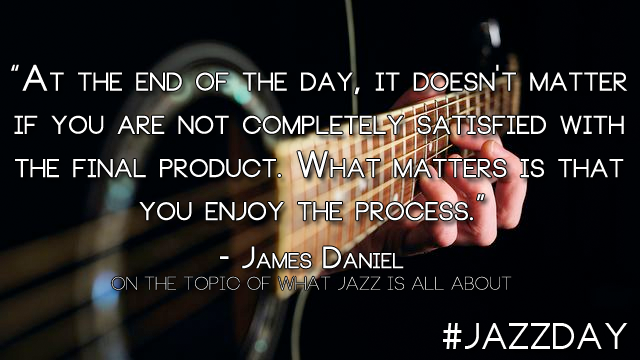 What matters is that you enjoy the process. So if you are celebrating Jazz Day in any way today then I would like to say thank you. Thank you for supporting an art form that is so dear to my heart. 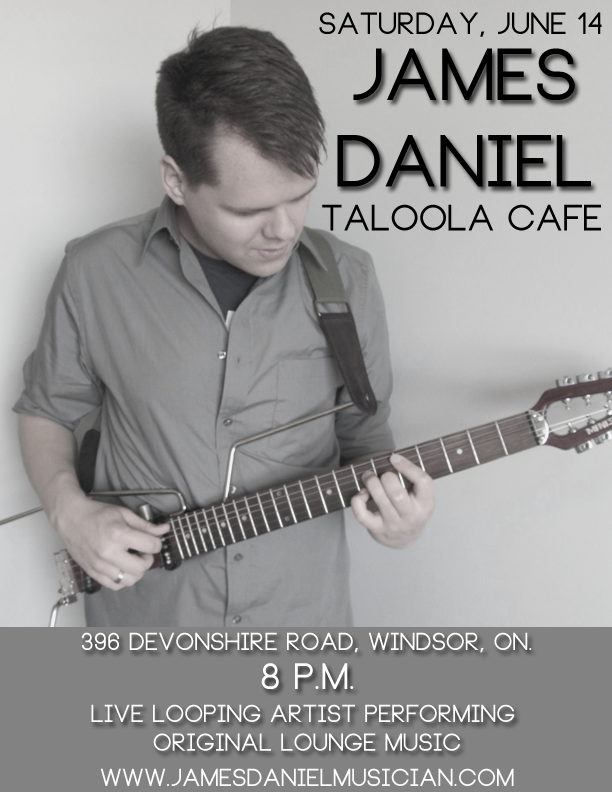 Do you want to acquire a music skill this Summer? How would you like this as your classroom? I am instructing a Summer Workshop Series every Sunday until August 31. Each are about 45 minutes long and are treated as a group style lessons. It’s a great way to start you day, learn new skills while having fun and meet new people as well. 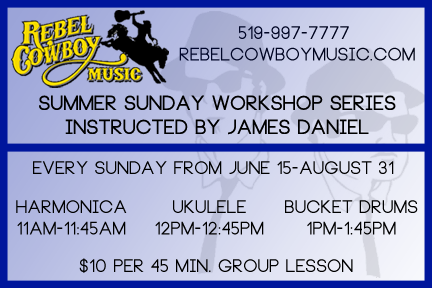 Come out to Rebel Cowboy Music in Kingsville, Ontario to learn the blues harmonica, ukulele, &/or bucket drums. The most common question I get about my workshops, or any music lessons for that matter, is “Can my son or daughter join even if they’re this young?” The answer is always simple, yes. I have experience teaching as young as five years old. All ages and levels are welcomed. If you’re interested please register in advance by calling Rebel Cowboy Music 519-997-7777 or contact me.